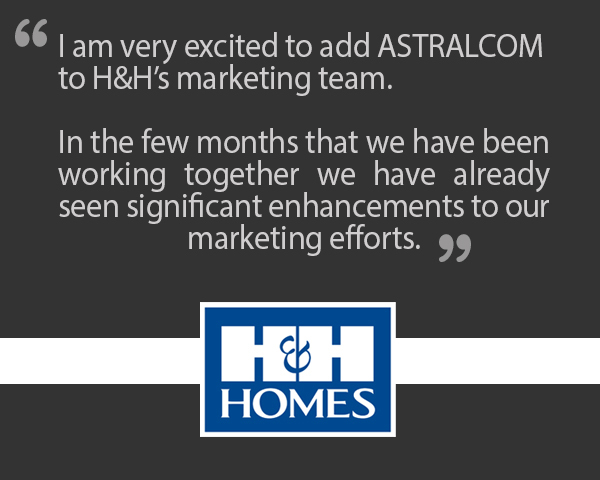 H&H Homes Multichannel Marketing Campaign | ASTRALCOM - Content Strategy, Conversion Marketing and Customer Acquisition. 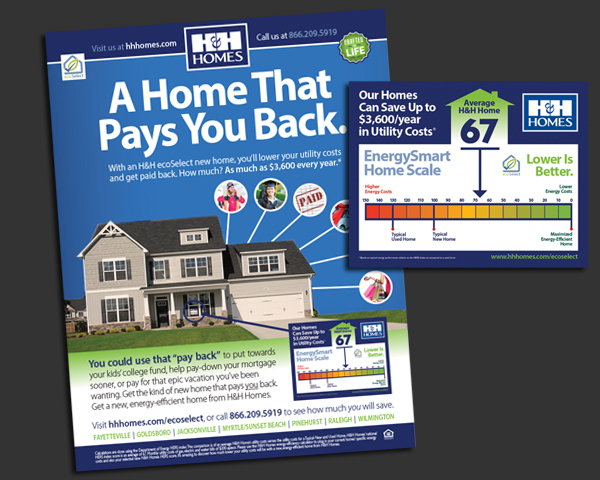 H&H Homes Multichannel Marketing Campaign | ASTRALCOM – Content Strategy, Conversion Marketing and Customer Acquisition. Covering multiple channels, the surge campaign drives both traffic and brand awareness. That’s why it’s so effective. 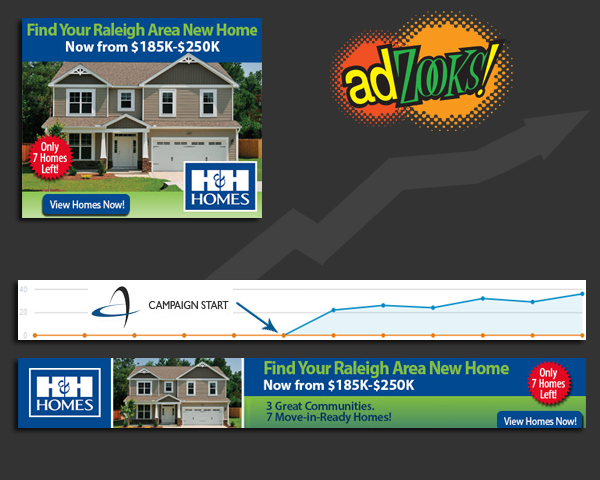 Through a coordinated campaign effort using flyers, display ads, search ads and social media ads we helped H&H Homes increase their brand recognition and ramp-up their activity in Raleigh, NC. With increases in traffic from paid search, display and social up 250%, 100% and 57%, respectively, the effort was off to a great start.